What exactly is happening in eastern India and Bangladesh where the share of Hindu population is declining on both sides of the border? It is known that the proportion of Hindus in Bangladesh has declined precipitously from 22 per cent to 10 per cent between 1951 and 2011. Presumably, this is because a large number of Hindus of Bangladesh have migrated to India in this period. This should have led to an increase in the proportion of Hindus in the Indian states bordering Bangladesh. On the contrary, we find the proportion of Hindus declining on the Indian side too. The demographic interaction between Bangladesh and India is much more complex than merely the migration of Hindus from there to here. In addition to Hindus, Muslims of Bangladesh also enter India in large numbers, and the number of Muslim immigrants is much higher than the Hindu immigrants. This partly explains the rising proportion of Muslims and a corresponding decline in the proportion of Hindus on the Indian side. KABUL – Clad in a blue headscarf, Saleha Soadat appeared on campaign posters around the Afghan capital, Kabul. She was running for a seat in Afghanistan’s parliament. A former journalist, Soadat was among hundreds of young candidates – journalists, entrepreneurs, government employees, and civil society activists – that were competing for 249 parliament seats, a wave of young people that injected hope into the electoral process: Hope for change and hope to move past the country’s warlord-dominated political landscape. Soadat, in her 20s, has been in public life for a decade. Her first job was as a radio reporter. 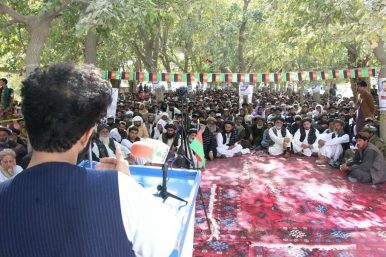 Soadat later joined Nai Supporting Open Media in Afghanistan, an independent media institute, to train young journalists. Xi has a choice: stand tough and risk economic disaster, or compromise and risk looking weak at home. As the Group of Twenty (G-20) annual summit opens this year in Buenos Aires, one meeting above all others is being anticipated. The American and Chinese presidents are expected to sit down together. The outcome of their discussion will have a significant impact on what the assembled leaders are in Argentina to talk about in the first place: the global economy. It is worth taking a closer look at the position in which Chinese leader Xi Jinping finds himself, five months into the U.S.-China trade war. First and foremost, Xi wants to appear unfazed on the world stage. He wants the effects of the trade war on the Chinese economy to be perceived as a slight breeze rather than as a Force 7 typhoon, which is about where things are right now. 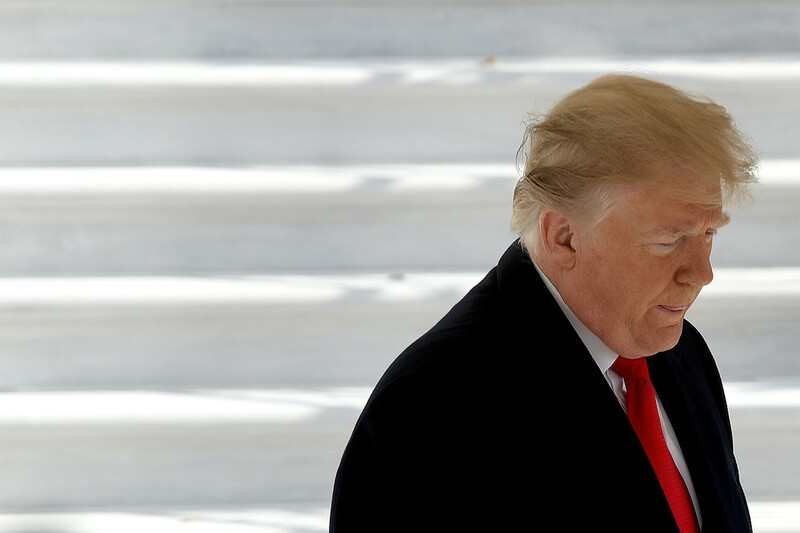 President Donald Trump on Sunday announced that China would “reduce and remove” its tariffs on American automobiles, one day after the White House negotiated a temporary cease-fire in its trade war with Beijing. “China has agreed to reduce and remove tariffs on cars coming into China from the U.S. Currently the tariff is 40%,” the president wrote on Twitter. There was no immediate confirmation for Trump’s claim, and the timetable for China’s rollback on the automobile duties remains unclear. Earlier this year, China lowered its tariffs on automobiles to 15 percent, from 25 percent. However, it later raised the rate on U.S. autos to 40 percent as part of the escalating trade war. That was in response to Trump raising the tariff on Chinese autos from 2.5 percent to 27.5 percent. Will America Or China Prevail In The Trade War? While the Constitution vests in the Congress the power to declare war, American presidents wield great discretion in initiating hostilities. Lyndon B. Johnson dribbled troops into combat in Vietnam in a series of halfway measures that led to disaster. After taking care to build a broad alliance, George H. W. Bush ordered the assault that threw the Iraqi forces out of Kuwait in 1991. His son, George W. Bush, orchestrated the invasions of Afghanistan and Iraq, after gaining the support of Congress. And recently, without involving the Congress, President Donald Trump has shifted the field of battle to economics by declaring a trade war against China. By so doing, he has initiated a drama of historical proportions, with consequences far beyond the fracas about tariffs. Looking out several decades, it is China—not Russia, North Korea, or Iran—that is emerging as America’s superpower adversary. President-for-Life Xi Jinping and his authoritarian regime have claimed sovereignty over the 1.3 million square miles of the South China Sea, three times the size of the Mediterranean. China has constructed a chain of forts with anti-ship missiles to enforce the claim. 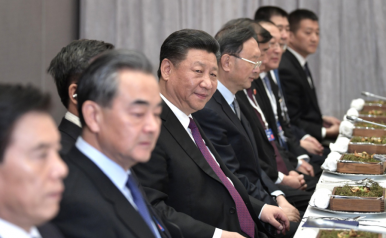 Xi has announced a plan to achieve high-tech dominance over the United States by 2025.
by Henry M. Paulson Jr.
Beijing is viewed—by a growing consensus—not just as a strategic challenge to Washington but as a country whose rise has come at our expense. Editor's note: For those who are still just awakening to the sea change that has occurred in the American establishment’s thinking about China, former Secretary of the Treasury Henry M. Paulson Jr.’s speech at the November Bloomberg Conference in Singapore warrants attention. Having invested over the course of his career in the hope that by building economic relations with China, the United States would create a more constructive, peaceful relationship with China, this unquestionable friend of good China-U.S. relations spoke candidly about where the relationship stands today. The audience included Chinese President Xi Jinping’s closest associate, vice president of China, Wang Qishan. The recent conclusion of the Asia-Pacific Economic Cooperation (APEC) Summit in Papua New Guinea witnessed for the first time in the grouping’s history, a non-issuance of a joint statement. This reflects the existence of deeper – and possibly more fundamental – divisions over how best to resolve the ongoing trade war between the United States and China. As Singapore’s Prime Minister Lee Hsien Loong noted, any fallout between both superpowers in a protracted trade war would result in considerable loss – not just to Washington and Beijing – but also to countries like Singapore and others in the region. Indeed, the past few years have witnessed substantial discussion among scholarly circles over what a rules-based regional (or international) order entail and the extent to which China subscribes to the norms and patterns of such existing arrangements. To this end, I argue that what is at stake lies more foundational assumptions over what is the ultimate decisive factor(s) in determining political behaviour, namely, material power, the international system, or ideational (or cultural) influences. It has been nearly seven months since the United States withdrew from the Iran nuclear deal. As sanctions begin to bite, Iranian companies are laying off employees, and Iranian households are facing renewed hardships. Iran has exercised remarkable patience while it waits for Europe to devise its special purpose vehicle (SPV), a new entity intended to help Iran blunt the impact of U.S. secondary sanctions by making it possible for companies to trade with Iran, despite the fact that most international banks refuse to process payments to and from the country. The SPV will do so by offering a “compensation” service. By overseeing a ledger of payments related to exports and imports between Europe and Iran, the SPV will be able to coordinate payments so that a European exporter of goods to Iran can get paid by a European importer of goods from Iran, eliminating the need for cross-border transactions. The SPV simply coordinates payments so that exporters can be paid from funds outside of Iran while importers can be paid by funds within Iran. The European Union is set to unveil plans for challenging the dollar’s dominance in global markets, including energy, as it seeks to strengthen the international role of its currency and become more independent from the U.S. amid a widening rift in transatlantic ties. The EU must develop “a full range of trustworthy interest rate benchmarks” in financial markets, and a fully integrated instant payment system, according to a draft set of initiatives due to be released later this week by the European Commission. The bloc’s executive arm will also explore the possibility to further develop the role of the euro in foreign exchange markets. The commission’s plans are aimed at mitigating the so-called “exorbitant privilege” of the U.S. dollar, which allows Washington to force global compliance with its foreign policy goals, including by the EU. Russia needs a lever to negotiate an end to sanctions, and the Kerch Strait could be just the ticket. Having been in Europe for some weeks, I’ve heard several people whose opinions I respect say two things since the incident in the Kerch Strait: that the Ukrainian government is faltering and that Russia is going to make a play for the Black Sea. Any one of these people could be dismissed. All of them should not. That so many are talking this way means either they have fallen prey to a disinformation campaign of enormous size, or a new sense of reality is emerging in the region. It seems to me that one or both of possibilities need to be taken seriously. 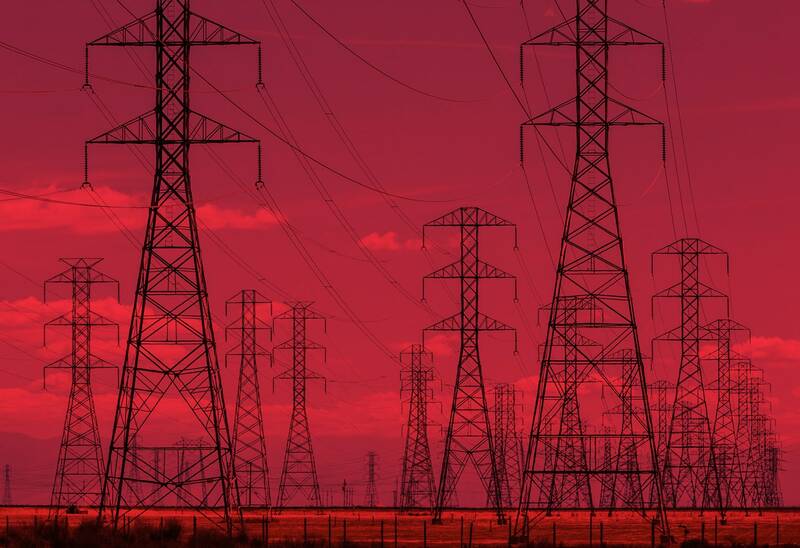 In recent years, hacks against the power grid have gone from a mostly theoretical risk to a real-world problem. Two large-scale blackouts in Ukraine caused by Russian cyberattacks in 2015 and 2016 showed just how feasible it is. But grid hacking comes in less dramatic forms as well—which makes Russia’s continued probing of US critical infrastructure all the more alarming. At the CyberwarCon forum in Washington, DC on Wednesday, researchers from threat intelligence firm FireEye noted that while the US grid is relatively well-defended, and difficult to hit with a full-scale cyberattack, Russian actors have nonetheless continue to benefit from their ongoing vetting campaign. During George H. W. Bush’s single term in the White House, the Berlin Wall fell and Germany reunified peacefully. The Warsaw Pact dissolved, the Soviet Union crumbled, and the Cold War ended. The American military ejected Manuel Noriega from Panama and liberated Kuwait from Saddam Hussein. The United States emerged as the world’s preeminent power after four decades of superpower standoff. As the world order shifted dramatically, George H. W. Bush steered the ship of state with experience, expertise, and—though it launched a million gibes—prudence. America emerged from his tenure stronger than before, with its adversaries weakened or transformed. “I’m certainly not seen as visionary,” he wrote in his diary. “But I hope I’m seen as steady and prudent and able.” That oft-mocked prudence was key to Bush’s success. U.S. citizens show deference to the armed forces regardless of their political persuasion. Their willingness to let the generals decide is a threat to the democratic tradition of civilian oversight. In a Nov. 18 interview with Fox News, U.S. President Donald Trump rekindled his periodic feud with retired Adm. William McRaven, who designed the successful raid that killed Osama bin Laden in 2011 and who has been a prominent Trump critic. But this time, Trump went further than just accusing his longtime nemesis of partisanship—“a Hillary Clinton backer and an Obama backer.” Trump now seemed determined to undermine the highly decorated Navy SEAL’s professionalism by questioning his signature accomplishment: “Wouldn’t it have been nice if we got Osama bin Laden a lot sooner than that?” he said. North America Has a New Trade Pact. Now What? The new trade agreement has been signed, but its ratification will likely be slow in all three countries. Although the countries did not sign any binding deal on auto quotas, the Trump administration could take action that would effectively forestall U.S. automakers from moving production to Canada and Mexico. The new NAFTA deal has shown that other countries negotiating new trade deals with the United States cannot expect Washington to lift tariffs it has already imposed on their products. The Great Power Competition Intensifies. The United States will escalate its strategic offensive against China with tariffs, sanctions, regulatory buffers around emerging technologies, stronger backing for Taiwan and a more assertive posture in the South China Sea. At the same time, failing arms control pacts will accelerate an arms race among the United States, Russia and China. The edgier geopolitical climate will create strategic opportunities for more vulnerable borderland powers, such as Poland and Taiwan, but will also create massive headaches for middle powers trying to find neutral ground, such as Turkey, India and Vietnam. Increased Geopolitical Risk for Business. Citing national security threats, the United States will lean heavily on Europe, Japan, Australia, Canada, South Korea and Taiwan to erect stronger barriers to Chinese investment. This will affect research and trade in strategic areas, from artificial intelligence to 5G network rollouts beginning in 2019. 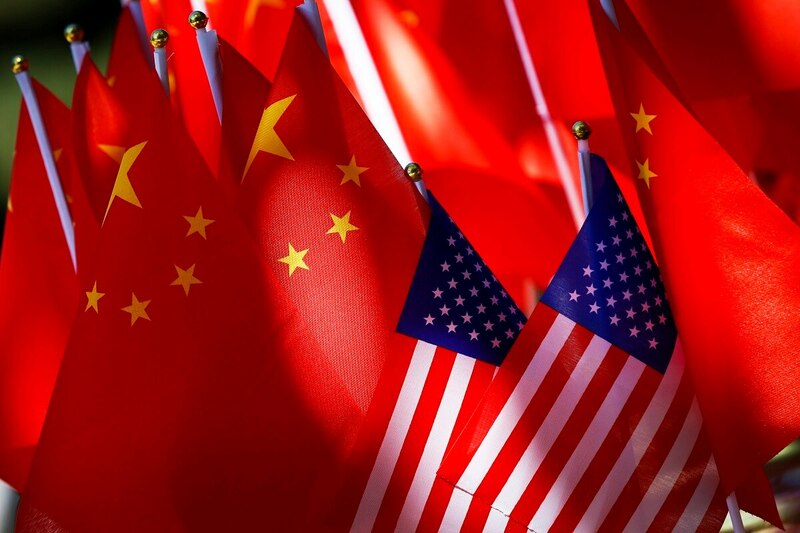 China's imperative to catch up in critical areas like aerospace and high-end semiconductor development will only increase cyberthreats to corporations and compel an overall more offensive U.S. policy in cyberspace. In addition, corporations will have to contend with supply chain disruptions and heavier fines and lawsuits for data breaches. … So why is America still in Afghanistan? Because the terror groups operating there would have the unfettered ability to again thrive if the U.S. were to withdraw the last of its troops. That answer won’t mollify critics of U.S. policy in Afghanistan during three presidencies. But remember, each of those presidents came to understand the terrible risks a U.S. pullout would create. We say this acknowledging that there is no end in sight to the longest-running war in U.S. history. Taliban insurgents continue to expand their reach, particularly in the south. Their ambushes and suicide bomb attacks have decimated the ranks of the Afghan military and police. Trump at the G20: Is He Following In George H.W. Bush’s Footsteps? Will Donald Trump end up following in the footsteps of George H.W. Bush? Many commentators are drawing invidious comparisons between the two men. Now that he has died at age 94, Bush is being hailed as a farsighted foreign policy president, while Trump is cast as the bad boy of international relations. But Trump, who had previously made disparaging remarks about Bush, signaled a more conciliatory approach at the G20, where he was fairly subdued in his meetings with foreign leaders and lauded Bush for his public service. Bush’s priority in international affairs was creating stability in a revolutionary age that would allow the United States to solidify its preeminence. He assembled a stellar foreign policy team. Secretary of State James Baker and National Security Advisor Brent Scowcroft shared Bush’s realist vision of foreign affairs and helped him to implement it. After Tiananmen Square on June 4, 1989, Bush, who had served as the unofficial ambassador to China, insisted on maintaining ties to Beijing rather than turning it into an outcast. Bush felt an emotional tie to Beijing: “My long history with Deng and the other leaders made it possible for us to work through the crises without derailing Sino-American relations," he wrote in his diaries. He dispatched Scowcroft for a secret meeting in July 1989 to sound out the communist leadership. Peace between Eritrea and Ethiopia will be a boon for regional stability, providing foreign powers with ample opportunity to increase their economic influence. Fears of growing Chinese and Russian influence may be driving recent moves by the United States, which suddenly reversed its opposition to the removal of U.N. sanctions against Eritrea. As part of a shift in focus to counter Beijing and Moscow, Washington will remove some of its Africa-based personnel, yet it will continue to focus on Djibouti and Somalia, especially because of Islamist militancy in the latter. Editor's Note: This assessment is part of a series of analyses supporting Stratfor's upcoming 2019 Annual Forecast. These assessments are designed to provide more context and in-depth analysis on key developments in the coming year. [T]he American continents, by the free and independent condition which they have assumed and maintain, are henceforth not to be considered as subjects for future colonization by any European powers . . . . We owe it, therefore, to candor and to the amicable relations existing between the United States and those powers to declare that we should consider any attempt on their part to extend their system to any portion of this hemisphere as dangerous to our peace and safety. With the existing colonies or dependencies of any European power we have not interfered and shall not interfere. But with the Governments who have declared their independence and maintained it, and whose independence we have, on great consideration and just principles, acknowledged, we could not view any interposition for the purpose of oppressing them, or controlling in any other manner their destiny, by any European power in any other light than as the manifestation of an unfriendly disposition toward the United States. The reasons for that include the complexity of the international financial system, some states’ reluctance to enforce existing measures, and terrorist groups’ ability to innovate and diversify to obtain new sources of funds and hide what they have. While the terror–crime connection is very old (from Russian anarchists in the 19th century to the U.S. Weathermen in the 1970s), new technologies mean that we now face a terror–cyber–crime nexus. Islamic State promoted what Magnus Ranstorp has called ‘microfinancing’ of the caliphate and encouraged ‘gangster jihad’, enabling it to amass nearly US$6 billion in 2015 (including about $500 million from oil and gas, $360 million from ‘taxes’ and extortion, and $500 million from looting bank vaults in Mosul). 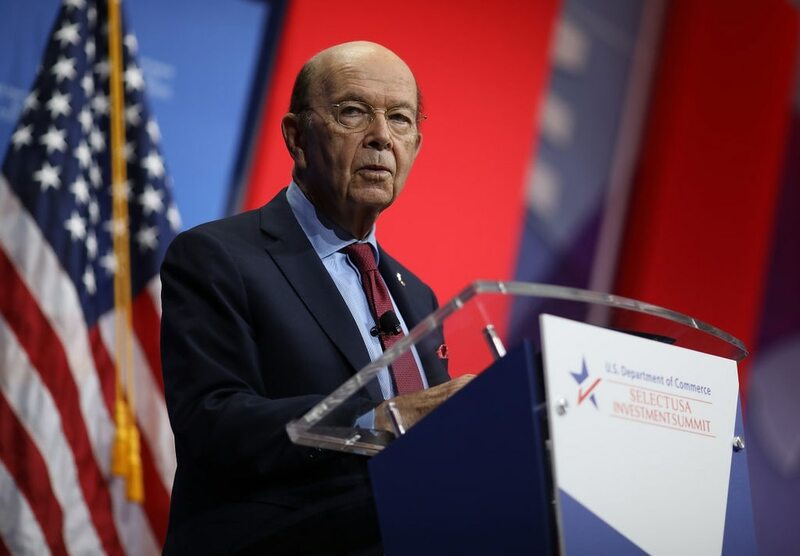 The Department of Commerce is fast-tracking efforts to identify and establish export controls on “emerging technologies” deemed essential to the national security of the United States. The Commerce Department’s Bureau of Industry and Security (BIS) published an advance notice of proposed rulemaking Nov. 19, kicking off a 30-day public comment process on a rule that would impose export restrictions on a host of broadly defined new technologies, including artificial intelligence, machine learning algorithms, biotechnology, microprocessor technology and robotics. The purpose of the notice is to solicit public feedback on how to properly define and identify these emerging technologies and to determine the degree to which they are essential to U.S. national security. On May 24, 2017, Qatar’s state news agency reported that Qatari Emir Tamim bin Hamad Al Thani supported Hamas, Hizballah, Iran, and Israel.1 In response, Saudi Arabia, the United Arab Emirates (UAE), Bahrain, and Egypt cut off relations with Qatar, a fellow member of the Gulf Cooperation Council (GCC).2 The four countries released a list of 13 demands that aimed to align Qatar’s national policies with that of other Gulf and Arab countries.3 However, Qatar’s state news agency quickly disavowed the report on its Web site and Twitter account and attributed it to a cyber attack.4 The attack on Qatar’s state news agency to promulgate false and misleading information marks a new phase in the use of cyber means for political warfare. An analysis of the goal, target audience, and means of this cyber attack, as well as the results of the attack and the implications of evolving technologies, suggest that defending against such attacks requires a multifaceted effort from individuals, organizations, governments, and the international community. As 2018 draws to a close, we should perhaps be grateful that the year has not been entirely dominated by ransomware, although the rise of the GandCrab and SamSam variants show that the threat remains active. Our predictions for 2019 move away from simply providing an assessment on the rise or fall of a particular threat, and instead focus on current rumblings we see in the cybercriminal underground that we expect to grow into trends and subsequently threats in the wild. We have witnessed greater collaboration among cybercriminals exploiting the underground market, which has allowed them to develop efficiencies in their products. Cybercriminals have been partnering in this way for years; in 2019 this market economy will only expand. The game of cat and mouse the security industry plays with ransomware developers will escalate, and the industry will need to respond more quickly and effectively than ever before. BAD BOTNET, BAD — The botnet scourge is worse than ever, according to the International Anti-Botnet Guide out today from the Council to Secure the Digital Economy. The industry group said the rapid spread of internet of things devices — estimated to top 20 billion by 2020 — is giving digital criminals many more vectors to carry out digital assaults. As a result, according to the report, botnets are a significant driver of economic losses from cybercrime that are expected to reach into the trillions of dollars in the coming years. But the guide isn’t meant to simply admire the ballooning problem of botnets, the most famous of which took down a large swath of the internet in October 2016. It’s intended to provide an antidote, according to CSDE, which will unveil its guide at an event today in Washington featuring Jeanette Manfra, assistant director for cybersecurity for the DHS Cybersecurity and Infrastructure Security Agency (it will be live streamed here). It outlines baseline practices — authentication and credential management — as well as more advanced solutions — privileged access management and monitoring the latest threat intelligence — that can begin to beat back botnets. The United States is actively involved in two hybrid conflicts (ISIS in Syria and Iraq) and is supporting the Ukraine against hybrid threats from Russia. That said, America lacks a formal doctrine for dealing with such conflicts or even an agreed-on doctrinal definition of what they are. This article is an attempt to begin a serious discussion of a doctrinal approach to counter attempts by other state actors to use kinetic hybrid techniques to further state interests in ways harmful to us. The Hybrid Center of Excellence in Finland is a good start to begin examining cooperative approaches to countering hybrid threats, but the United State will likely play a key role when a NATO ally or a partner with which we have a bilateral security agreement comes under a hybrid attack. In the age of social media and increasingly available connectivity, experts say it is becoming more and more challenging for the U.S. military to conduct operations under a cloud of darkness. Secrets now come with a half-life, multiple experts recently told Military.com. And what comes into question is how the U.S. military will plan each operation down to the smallest detail in order to avoid catastrophic incidents with emerging powers or near-peer threats such as Russia or China. SIMI VALLEY, Calif. — The United States faces a conundrum: it must develop advanced technology capabilities that enhances the military but do so at a pace fast enough to compete against totalitarian regimes that play by different rules. The Pentagon is wrestling with the standards and ethical aspects of cybersecurity and artificial intelligence, including how data is collected to enable such technologies, and how those technologies are subsequently used. This comes even as China and Russia move rapidly ahead without consideration for such things, leaders from the Pentagon, industry and Congress said here at the Reagan National Defense Forum. In an extraordinary and sobering report meant to wake the nation up to a growing threat, a new military white paper warns that an electromagnetic pulse weapon attack such as those developed by North Korea, Russia, and Iran could essentially wipe out the United States, kill or displace millions, and even force jets to drop from the sky. The report, titled, “Electromagnetic Defense Task Force,” and the product of a mostly classified summit of 40 agencies just outside of Washington earlier this year, is the most forceful call by any government agency yet for a new focus on preparing for either an enemy EMP attack or a natural hit such as a solar storm.